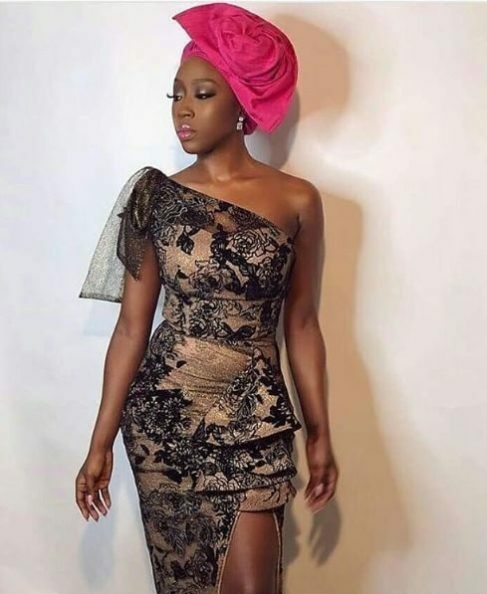 Celebrity aso-ebi styles are always a source of inspiration. 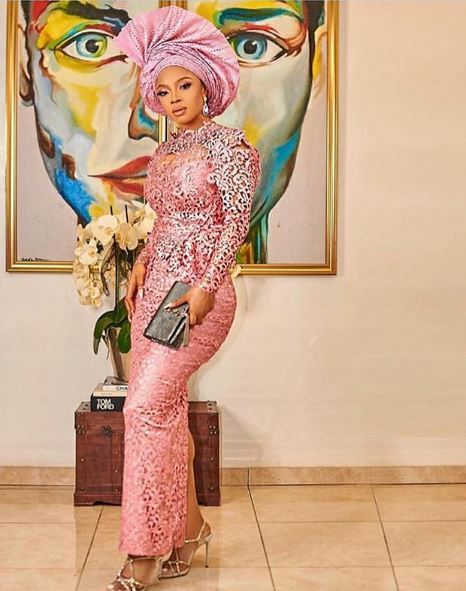 The traditional wedding of Mo Abudu’s daughter (Temidayo and her beau, Adebola Makanjuola) held last week, and your favourite female celebrities turned up in all their aso-ebi gorgeousness. The slay was real! Female celebs arrived in ultra-stylish aso-ebi dresses and geles. Want to see what the celebrity female wedding guests wore? 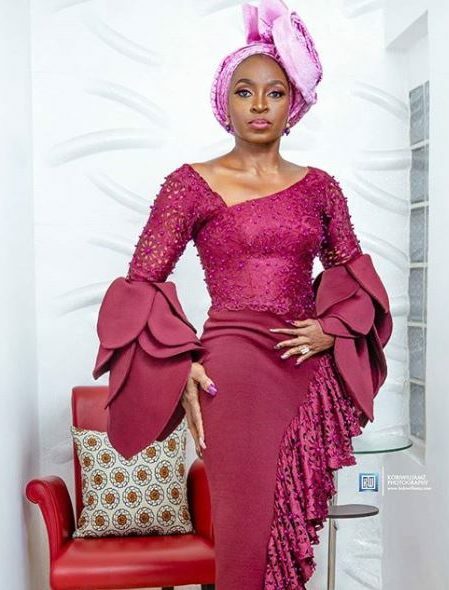 Here’s our editorial roundup of what your favorite female celebrities wore (aso-ebi and gele) to Mo Abudu’s daughter’s wedding. 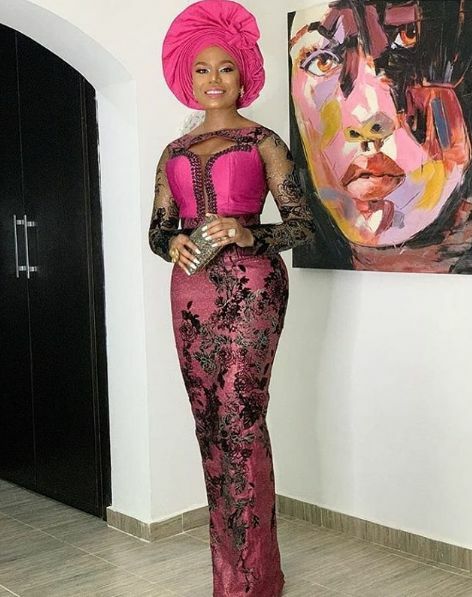 Familiar among the list of celebrity guests that attended include Toke Makinwa, Omotola Jalade-Ekeinde, Kate Henshaw, Bisola (former BBNaija housemate) and Sharon Ooja (of Ndani TV’s Skinny Girl in Transit). The wedding aso-ebi was a pink colour lace with black lacy design details. Gele was pink coloured. 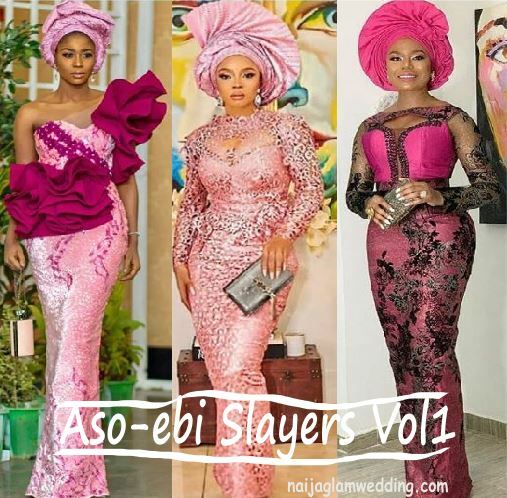 From Toke Makinwa’s shimmering pink aso-ebi gown to Beverly Naya’s slit short gown aso-ebi, to Kate Henshaw’s gorgeous pink royal ascot style gele, there were plenty show-stopping aso-ebi looks at Mo Abudu’s daughter’s traditional wedding ceremony. We can’t help but gush at pictures of the celebrity Aso-ebi syles and Geles from the wedding. Thumbs up to the fashion designers and gele artists that styled the celeb guests. It’s amazing to see how the same aso-ebi fabric, in same colour, could be made into many different and stunning dress styles. Every celeb at that wedding looked stunning. Their makeup was on-point, their outfits on-fleek. Their Gele head-tie styles were all gorgeous – most had a twist to the traditional Gele styles we see everyday. Some of the designers that outfitted the celebrity guests included @zhenawoman, @fablanebyderin and @suemanuell – they’re all are on Instagram. Those are our favourite looks from that wedding. Hope they inspire you on what to wear or sew when invited to a wedding or any occasion. As you can see from the aso-ebi bellas (above), #TeddieMak was lit! Oh, #TeddieMak was the trad wedding hastag for Mo Abudu’s daughter’s traditional wedding. In short, all those celebs’ wedding guest dresses are head-turners. 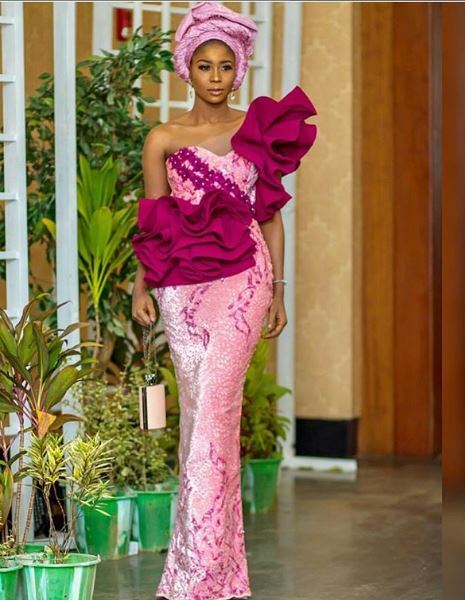 Now that you’ve seen who wore what, which of the celebrity wedding guest dresses – aso-ebi or gele style (above) is your favourite look? Comment below to tell me. I can’t seem to choose from these outfits, cos they’re all fine.